Prince’s moves to elicit female desire in the song When doves cry can be traced according to three codes found in the lyrics: the “normal” code of male sexuality common in rock music, an unusually explicit “Oedipal” code, and an “uncanny” code. The uncanny code constitutes a counter-code to the usual male-oriented sexuality of rock music and represents an attempt to elicit a non-stereotypical female sexuality—female desire outside of the male sexual economy. This according to “Purple passion: Images of female desire in When doves cry” by Nancy J. Holland (Cultural critique X [fall 1988] pp. 89–98). 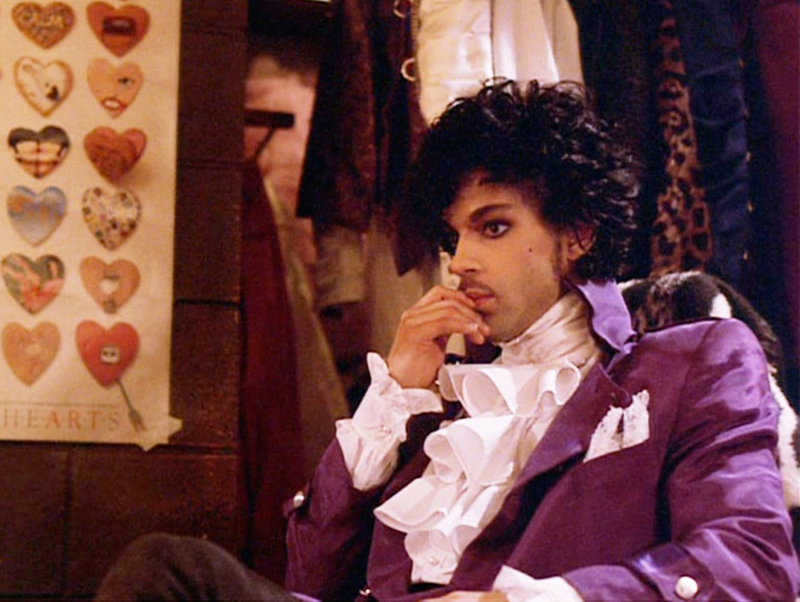 When doves cry is 30 years old this year, as is the film that showcased it, Purple rain. Above, a still from the film. Click here for the official music video; the lyrics are here.